Improving your in-store experience is a surefire way to keep your customers happy and interested in spending more time shopping and purchasing. Create a shopper friendly atmosphere and encourage more sales simply by providing your customers with a shopping basket or a shopping cart. Both offer customers a convenient way to carry merchandise throughout your store and to check-out. They also give your shoppers the ability to select more merchandise as they move through your store aisles. In retail, shopping baskets and shopping carts have been proven to help increase impulse sales. In fact, a customer with a shopping cart will buy an average of 7.2 items compared with only 6.1 items purchased by a customer without a shopping cart. For bulk products, those sales can be double what a customer would normally purchase without a shopping cart (Source: America’s Research Group). 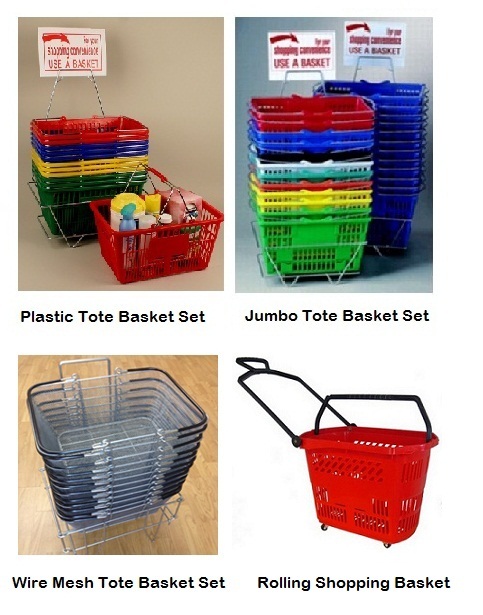 Shopping Baskets are typically made of plastic or metal and range in size and capacity. They are durable, break-resistant and don’t take up a lot of store space. Plastic shopping baskets and metal shopping baskets are stackable. A simple metal stand which usually comes with a sign topper is used to keep these shopping baskets organized and secure when not in use. At www.discountshelving.com we offer a plastic tote basket set that holds up to 5 gallons or 50 pounds each, as well as a plastic jumbo shopping basket set that holds up to 7 gallons or 100 pounds of merchandise each. For a modern look, our attractive wire mesh 12 basket shopping basket set is made of sturdy powder coated metal and comes in a choice of silver, black, red or blue colors. Shopping Baskets are the most popular choices among retailers such as grocery stores, drug stores, dollar stores, convenience stores, home goods stores, retail chains, beauty supply stores, pet stores, book stores and more. One of the newest options in shopping baskets is a hybrid of a shopping cart and traditional plastic shopping basket. This easy pull plastic rolling shopping basket features an elongated handle and wheels. These rolling shopping baskets make it even easier for your customers to shop freeing their hands to add merchandise. Made of reinforced plastic, this rolling plastic shopping basket features a narrow design perfect for moving around smaller store aisles. Retail store shopping carts also come in a variety of styles, sizes and finishes. The most popular shopping cart is made of heavy duty steel and is designed to “nest” into each other for storage. 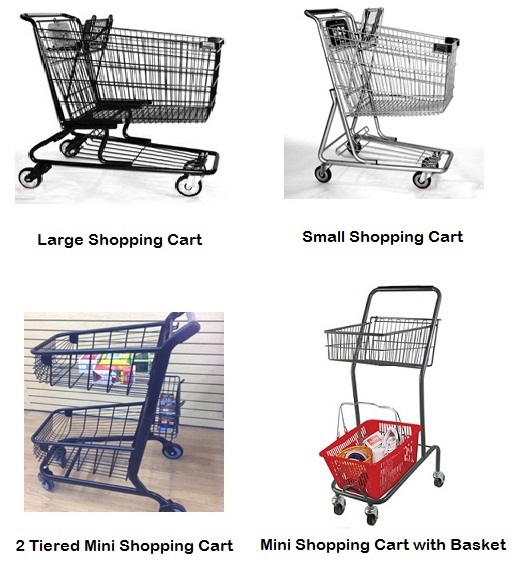 When purchasing shopping carts, choose the right size shopping cart to suit the size and aisle widths of store in addition to the type of merchandise you sell. If you offer bulkier items consider a larger or wider shopping cart. At www.discountshelving.com we offer a small shopping cart, medium shopping cart and a large shopping cart options. If you have narrow store aisles consider a mini shopping cart style. The mini shopping cart is more compact, and narrower than the traditional grocery shopping cart. It is also lighter weight, making pushing this mini shopping cart around your store easier, especially for elderly shoppers. They’re a great option for smaller grocery stores and retailers that carry smaller merchandise such as dollar stores, pharmacies and beauty supply stores. If you’re looking to increase sales and improve the shopping experience in your store consider adding Shopping Baskets or Shopping Carts. They’re proven retail tools that make life easier for your customers and also encourage more sales. 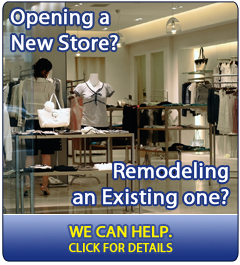 Visit: www.discountshelving.com to find the perfect shopping basket or shopping cart for your store.